Is your child or teen very often distracted or frequently inattentive? Does he or she have a short attention span? Do your child often fail to complete homework or miss deadlines? Is your child or teenager frequently “on the go” or appear to be driven by a motor? If your child is studying hard but doing poorly in school, educational testing can give a clearer picture of what is causing the difficulty and what resources can help your child succeed. Your child’s academic success is a function of many factors, and any combination of factors may be affecting your child’s success. Numerous studies show that creating an education intervention for your child based on reliable testing can improve your child’s learning experience. What will educational testing give me? Dr. Winarick will provide highly accurate, specific, and useful feedback for the whole family, including an overall summary and analysis of your child’s cognitive functioning and the results of personality testing, which, when combined with your child’s history will shed light on your child’s emotional functioning. We will then use those findings to create a personalized recommendation which you can bring to your child’s school, which will be used to create a better education plan for your child. 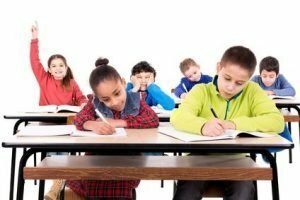 Dr. Winarick will provide you with a well written, clear, and in-depth psycho-educational/psychological testing report that presents a rich overview of your child’s cognitive and emotional profile and diagnosis(es) and concrete recommendations for improved functioning at home, school, and/or work settings. You can use this report to match your child to the right resources such as tutoring for organization skills, special help in writing, or helping teachers understand how your child learns best. You can help your child reach his or her potential and succeed. Click here to read more about whether educational testing is the right choice for your child. Educational testing is the first step to getting your child the support that he or she needs to succeed. To get started with educational testing services, you can call now, fill out the contact form or just text ‘PsychologistsNY contact’ to 646-770-6091 and I’ll reach out to you.